We all like the idea of a silver bullet—a single, simple solution to a complex problem. But there’s no silver bullet when it comes to information security. Though some IT professionals have clung to the vain hope that antivirus (AV) alone would do the trick, others have come around to the need for a layered, defense-in-depth approach to endpoint security. But today’s endpoints demand even more. 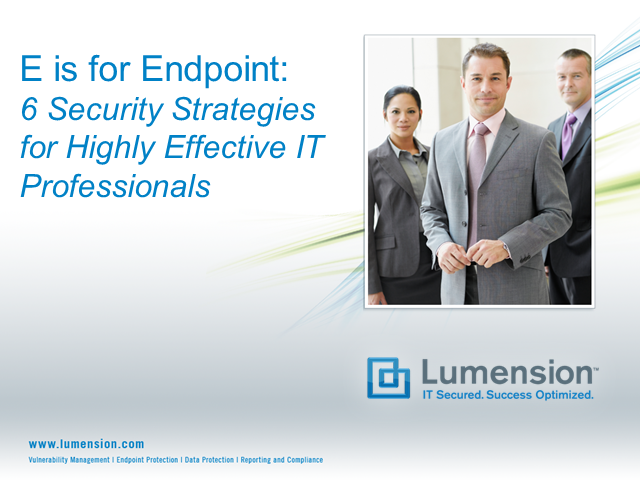 Endpoint security now requires a new way of thinking that goes beyond just battling threats to actually enabling operational improvement.